When you’re battling with your soon-to-be ex-spouse over property, debt, child custody, and support, your attention may naturally be consumed by divorce proceedings. Unfortunately, this can leave your children floundering, with little parental support. How can you make divorce easier on your kids? Here are a few steps every parent should take. 1. Keep adult matters between adults. 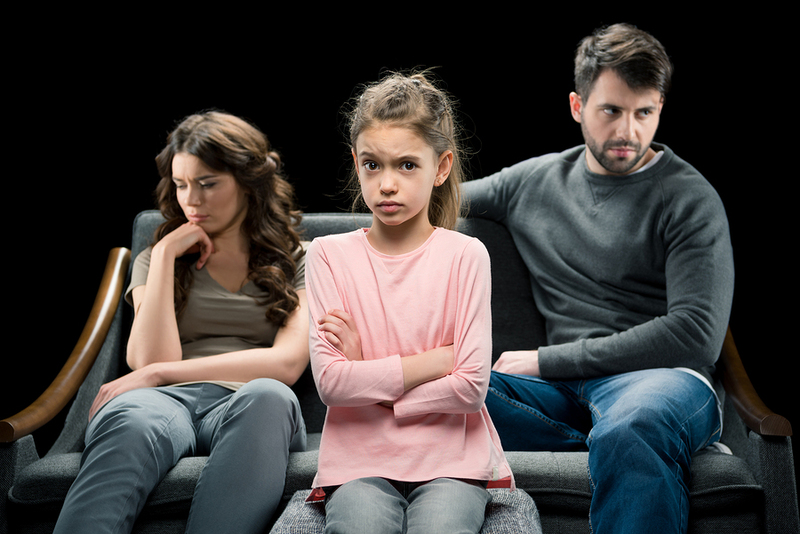 Your kids don’t need to know that you’re getting a divorce because of infidelity or irreconcilable differences. They don’t need to hear their parents fighting or speaking badly about one another. These are issues that exist between you and your spouse and extending them to your kids can only hurt them. They’re already in an unstable situation and you don’t want to make it worse. You and your spouse both need to go out of your way to assure children that they still have two loving parents who are going to do everything in their power to maintain normalcy. Your kids are not your confidants, nor are they equipped to cope with adult problems. Even though you’re going through a tough time yourself, it is your responsibility to shield your kids from as much hurt as possible. 2. Keep kids informed. Divorce can be confusing and frightening for kids, especially if they feel like they have no idea what’s going on or what the future holds. There are plenty of details your children needn’t be privy to, but that doesn’t mean they don’t have just as big of a stake in the process as you and your spouse, or that they aren’t anxious about the outcome. Help them through by keeping them apprised of the plan and try to make sure they have equal time with both parents, so long as it is safe to do so. 3. Minimize disruptions to their lives. One of the best ways to help children through the difficult process of divorce is to minimize the changes to their normal daily routines. Although you may eventually have to hash out a custody agreement, do your best to keep them on schedule with school, activities, play dates, and time with family so they don’t feel like their entire world is falling apart. 4. Ask how they’re feeling. This is a big one. You know your kids are going to be upset about divorce and you’ve probably encouraged them to talk to you about what they’re feeling, but you need to do more. Actively pursuing conversations with your children gives them the chance to open up and gives you the opportunity to assure them that their feelings are normal and that you love and support them. 5. Seek professional help. Divorce is difficult for everyone involved, which is why you should take time to address your own health needs, including seeking therapy to cope with your situation. If you’re unsure how to help your children through this difficult time, it’s also wise to consider speaking with a child psychologist or even making appointments for your kids so they have an outlet to discuss their feelings and concerns. When you’re facing a divorce, having the right assistance can make every step easier. Contact the qualified professionals at The Gucciardo Law Firm today at 248-723-5190 to get the legal guidance and support you need.